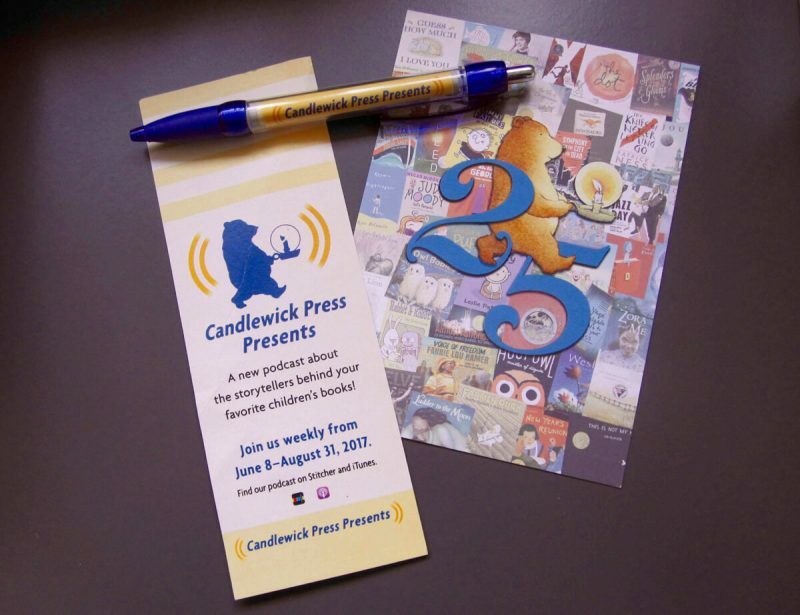 (By the way, happy 25th birthday, Candlewick!) They were producing a series of podcasts with their authors and I was lucky enough to be one of them. I was also sworn to secrecy! I sneaked into Candlewick H.Q. in Somerville, Massachusetts last April and with the help of the excellent sound-person, I recorded a Q&A with the lovely Ally. Aside from stopping to allow a few entertaining outdoor noises to go past, recording went really well. Was I nervous? Not really. I got over that many years ago when I hosted a live college radio show. I remember squeaking out words during my first broadcast and a few concerned fellow DJs rushing into the studio to make sure I was OK. I figured it out and spent a blissful couple of years ‘doing air’ on my once-a-week show. That experience has stood me in good stead over years of teaching, presenting and recording video interviews. Sure, I get nerves sometimes but I know that it’s just a kind of ‘quality control’, keeping me sharp. The Candlewick team were brilliant at making the podcast recording calm and fun. I totally enjoyed myself and send them huge thanks for the podcast, which I’ve had very positive comments about since it went live in late August. If you’d like to listen, you can find it here or on iTunes and Stitcher.